Outpatient rehabs are the most common type of behavioral drug and alcohol addiction treatment. They offer targeted and in-depth care in a structured and supportive setting while allowing participants to remain involved with their careers, families, and other areas of their lives. Outpatient rehabs do not require patients to take an extended period of time away from their everyday lives to get the help they need for their substance use disorder (SUD). These programs occur over a period of four to six weeks and require attendance at multiple weekly treatment sessions two to three days per week, during which patients undergo a variety of therapies as well as group therapy and one-on-one counseling. The State of Indiana offers a variety of outpatient rehabs, many of which are covered by private insurance, Medicaid, or Medicare. Many of these facilities also offer what is known as intensive outpatient rehab, which is a longer-term and more frequent version of regular outpatient services. 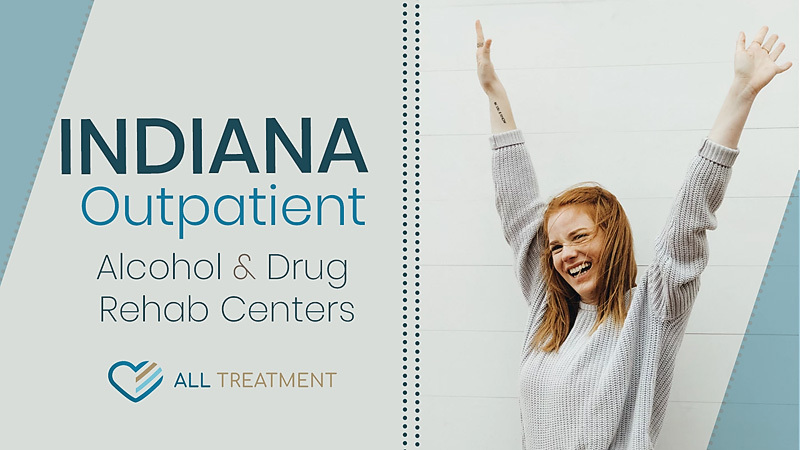 If you or a loved one needs help for substance use disorder in Indiana, you have more options than ever to start the healing process.